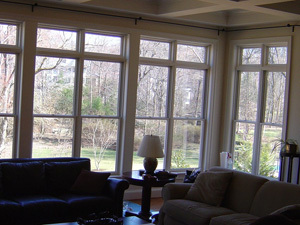 Residential and Commercial Window film specialists serving the residents of Reston Virginia with high quality window film tinting in their homes and businesses to save air conditioning costs and protect their rugs, pictures and furniture from UV damage. Our window film contractors specialize in meeting those needs with the finest of materials, the upmost experience, and with guaranteed work. We service both commercial and residential dwellings and offer competitive rates with our competition. With years of experience specializing in residential window film, commercial window film, decorative and privacy window films, safety and security window films. Window tinting is a very special trade that requires years of experience to insure the proper film and fit. You just can’t call anyone. The installers must be experts in their field. We insure every installer who comes to your home or business is an expert at what they do.